Premier Dalton McGuinty is urging Torontonians to pressure their school board trustees into overturning a controversial decision to create a black-focused school. While stressing his disappointment in Toronto District School Board trustees, McGuinty conceded he would not amend the Education Act to outlaw something he has likened to segregation. 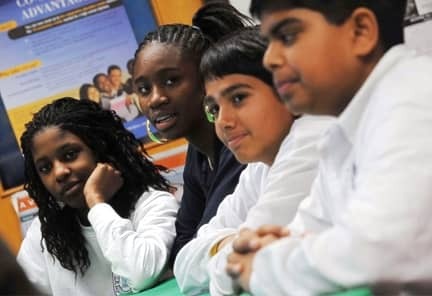 Trustees voted 11 to 9 on Tuesday night in favour of an Africentric school to open in September 2009, among other measures to tackle the troubling dropout rate among black youth. With 36 alternative schools in the Toronto board, including specialized programs for native and gay and lesbian students, it would be difficult for the Liberals to intervene. Ontario Premier Dalton McGuinty said he’s against separating public school students by race or religion. And now that he’s said that he won’t fund it, two trustees say they’ll push the board to re-open the vote. Toronto is the most multicultural city in the world where people from different ethnic backgrounds and religions live together embracing their differences. Segregated schools would be counterproductive to promoting multiculturalism in the city. Segregated Schools was published by Daniel Menjívar on February 2, 2008 at 10:30:10 AM MST and last updated on April 18, 2019 at 4:40:42 PM UTC .